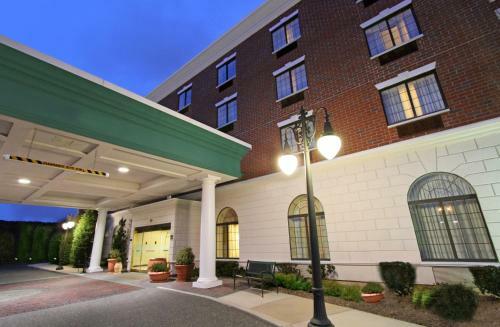 Located less than 1 mile from the Rockville Centre train station and less than 10 miles from JFK International Airport, Hampton Inn & Suites By Hilton - Rockville Centre offers free Wi-Fi and a business center. Rooms at the Hampton Inn & Suites By Hilton - Rockville Centre are equipped with a 25-inch TV with free HBO and pay-per-view movie options. An in-room coffee maker and ironing facilities are included. A hot breakfast buffet is served each morning at Hampton Inn & Suites By Hilton - Rockville Centre. A bagged breakfast is also available every weekday for guests with less time. A fitness center is located on-site, including a selection of workout equipment and a TV. Guests may also relax beside the water fountain inside the hotel’s atrium. 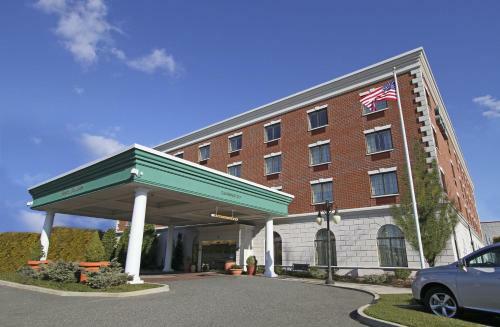 Hampton Inn & Suites By Hilton - Rockville Centre is less than 6 miles from Long Beach and 10 miles from Jones Beach State Park. 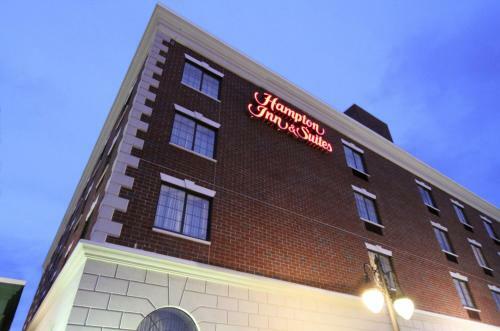 the hotel Hampton Inn & Suites By Hilton - Rockville Centre so we can give you detailed rates for the rooms in the desired period.